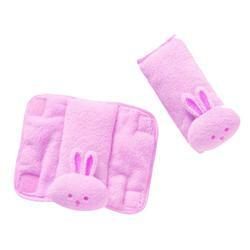 The CushyStraps are soft, plush fabric, cushioned padded shoulder straps with cute animal faces. The unique design goes over your childs shoulder to keep little heads from slumping and to help protect from strap irritation. 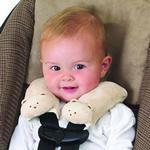 Cushy straps attach easily with self-fasteners.